Hi friends! I hope you have had a great week. 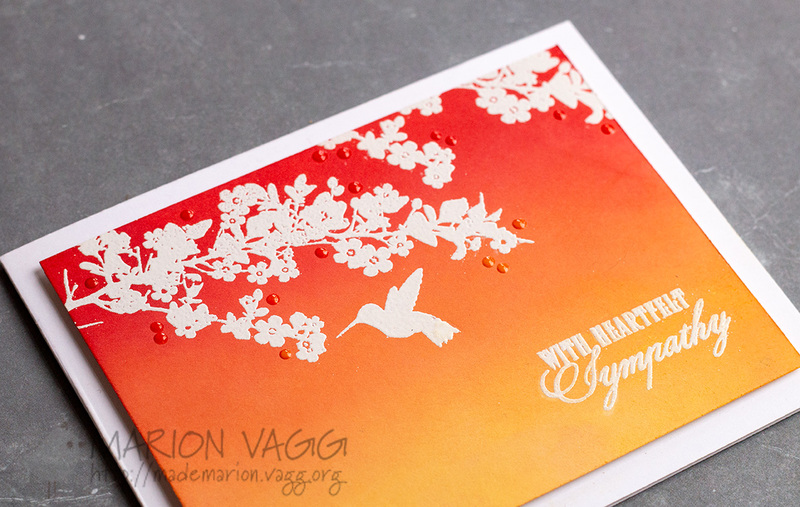 Today I have a card to share with you using some Penny Black products. 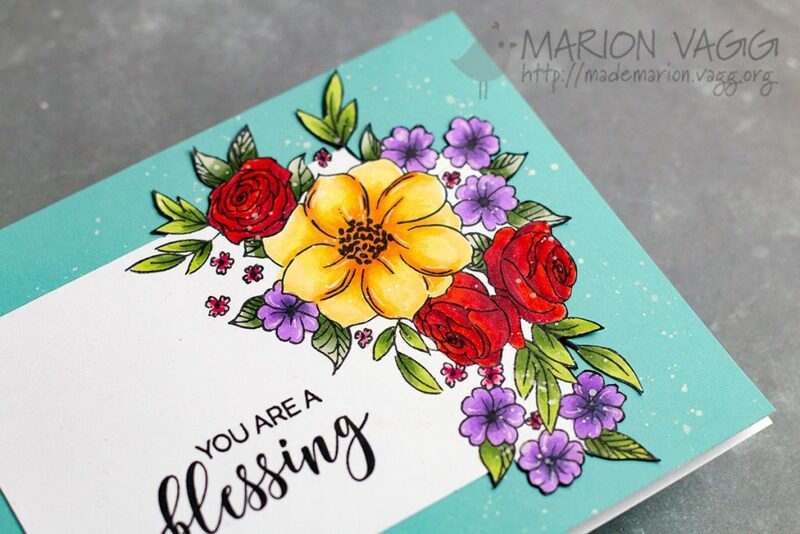 I am really into floral cards at the moment, so when the urge is there, I have to respond. 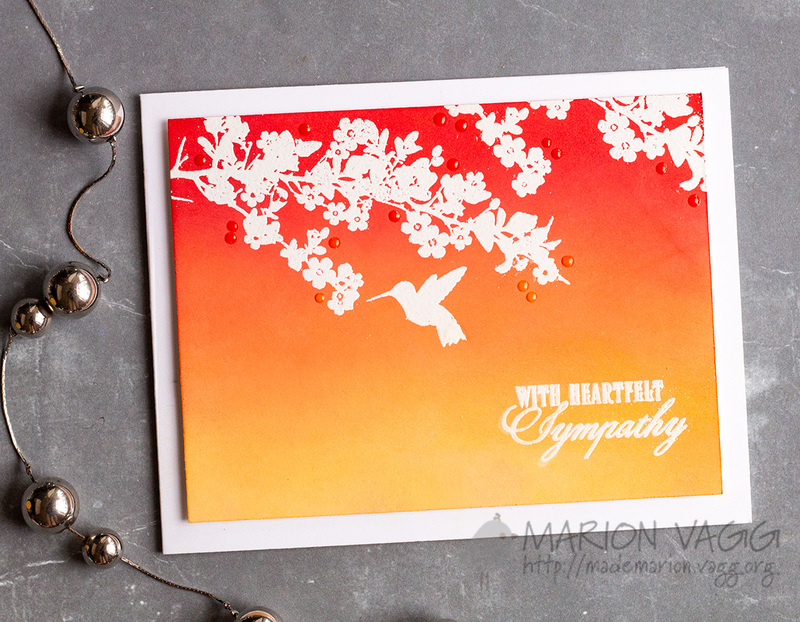 And I think this is probably one of my all time favourite floral stamps from Penny Black – Flower Cascade. 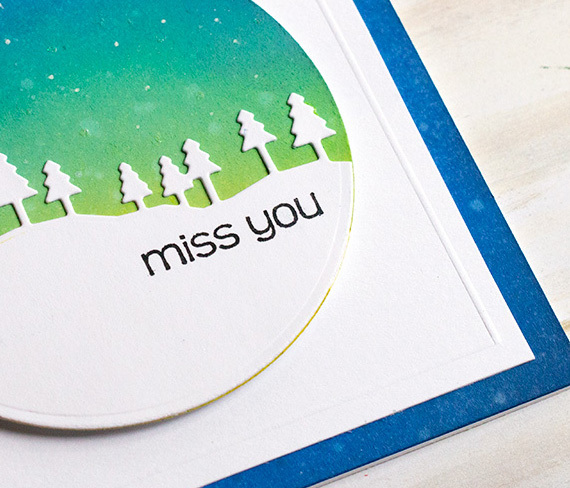 The sentiment is from the Choose Happy stamp set. 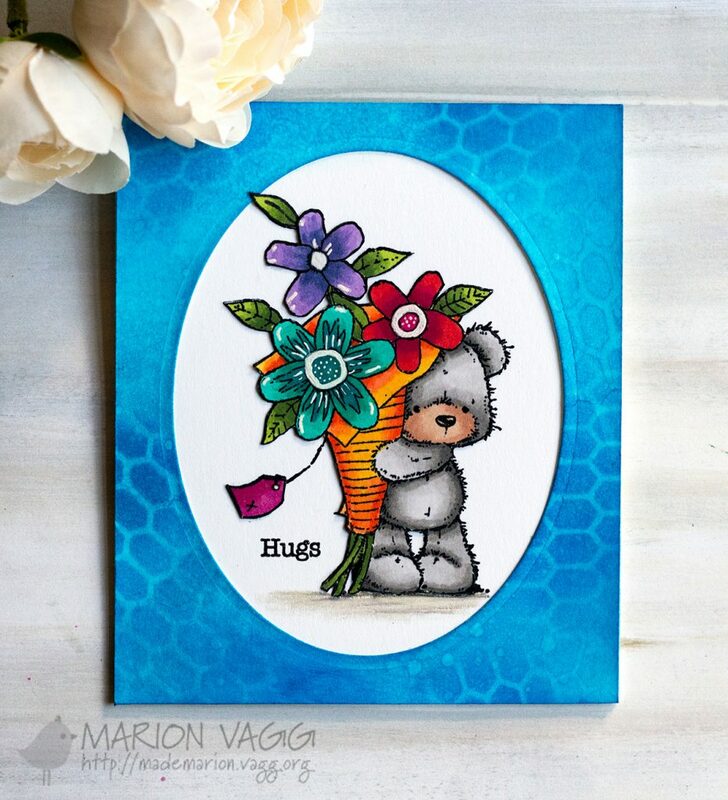 The floral image was stamped and then coloured with Copic markers. I used a craft knife, a ruler and scissors to partially cut out the image and frame before mounting it onto the card base. I stamped the sentiment in VersaFine onyx black ink. 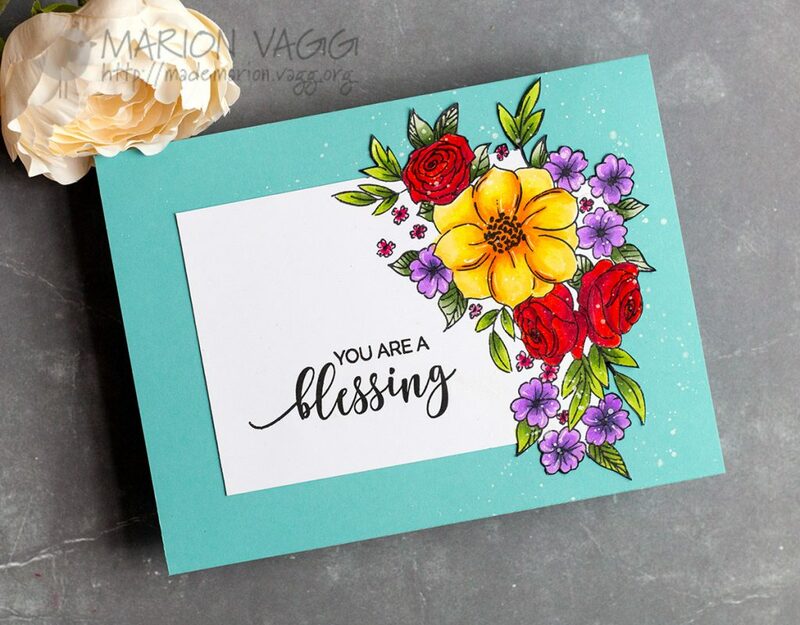 To finish it off, I added some white gel pen detail to the petals and splattered some white ink onto the right side of the card. Good evening. 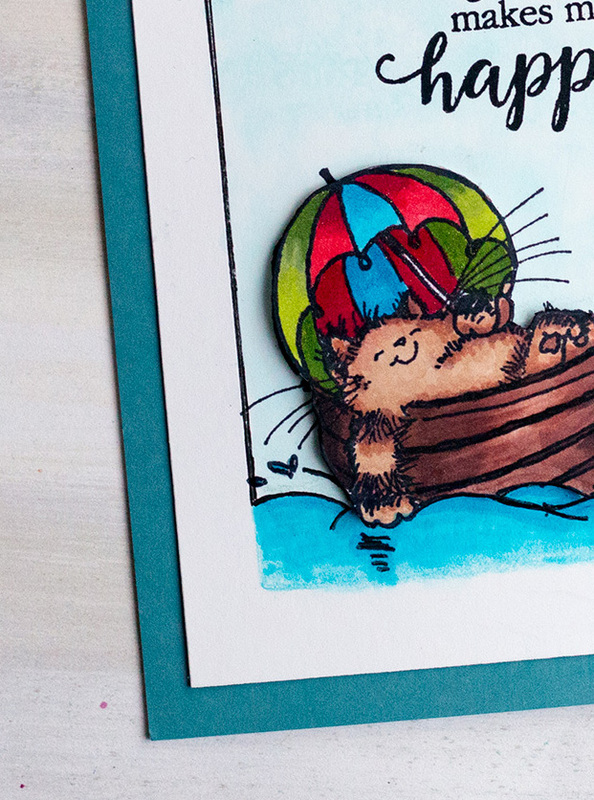 Today I have another card over on the Simplicity at its Best blog featuring an uber cute Penny Black Critter. 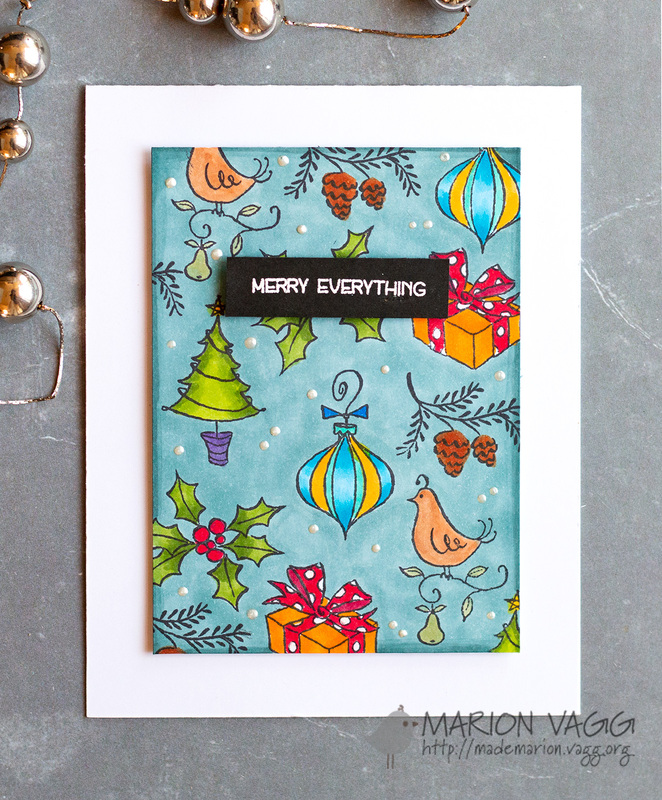 Head on over here and check out my card with instructions on how I made it.